I sincerely strive to keep a promise that I made with self - to live life to the fullest, to make each moment beautiful, and to always remember that YOU are the creator, designer of your own path. This blog too had started as a means to this end. And that is why, a few months back, even when I knew that at times I would be pressed for time, I took the plunge and started The Dance Bible along with my friend and co-dancer, Deepanshu. And just a day before, when the opportunity to co-create a work of fiction together with nine unknown bloggers came knocking at my inbox, I knew my answer would be a YES even before I hit the reply button. Sometimes all we need is to say 'Yes to Life', embrace it with open arms and give our best to the Universe. Linking to Write Tribe's writing quotes prompt and The Stirrup Queen's #MicroblogMondays. Stay with me as I #CelebrateBlogging tomorrow. As part of BlogAdda's ongoing 'Game of Blogs, ten bloggers have teamed up as the #DynamicWordWeavers and are collaborating to write a novel, one chapter - one blogger - a day, over the span of three weeks. Stay tuned! I like the word "yes." Even if you don't reach the very end, finish the project, to have spent time with it is sometimes enough; it sustains you and brings you to the next great thing. 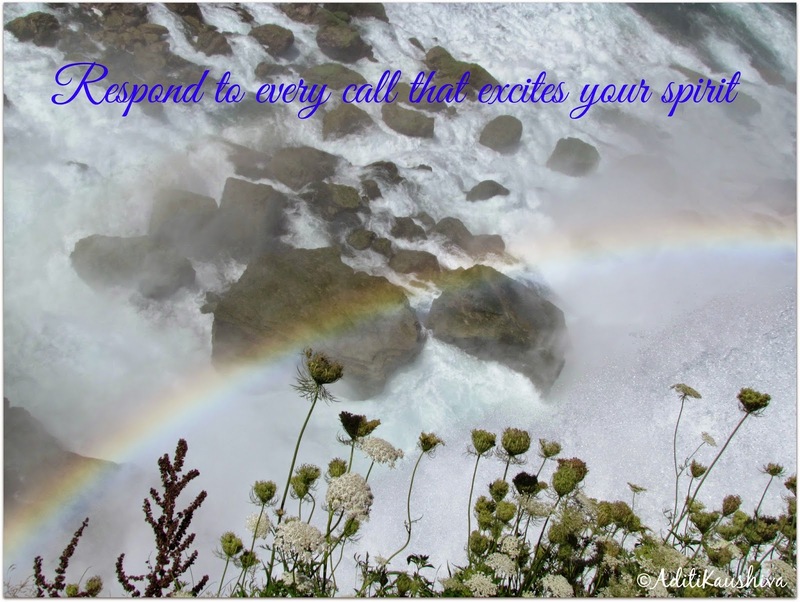 That is the best way to live :) Respond to the call and hope the Universe is listening :) Good luck with the Blog Adda contest! Thanks Shailaja! I believe, in time Universe does respond to all! 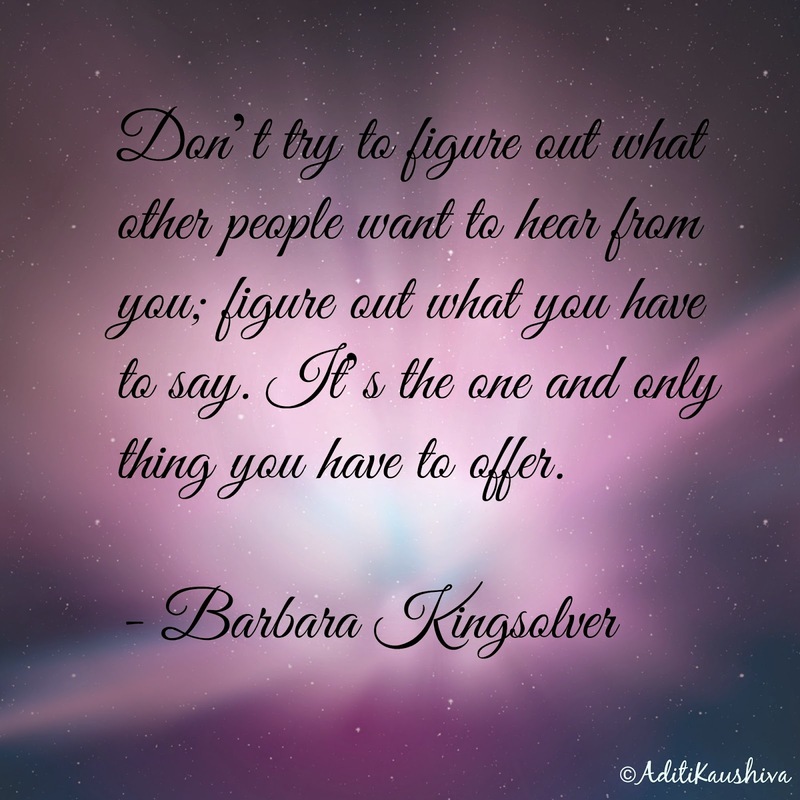 Love the Barbara Kingsolver quote. Me too! Thanks for visiting Mali! Thanks Sangeeta! :) That is really encouraging! You served my morning booster Aditi. Here I pledge 'Yes to Life'! :) glad I could help in cheering up your Tuesday morning! True Roshan! We loose ourselves too...turn into cattle! Well said Aditi. 'Listen to your heart carefully' that's the key. So true Vishal! Thanks for your lovely comment!